The Halifax Central Library is the most significant public building completed in Halifax in over a generation. The building is a place for discovery, learning, and social interaction. It’s the new cultural hub for the region and it has delivered on the promise to be a place for everyone. 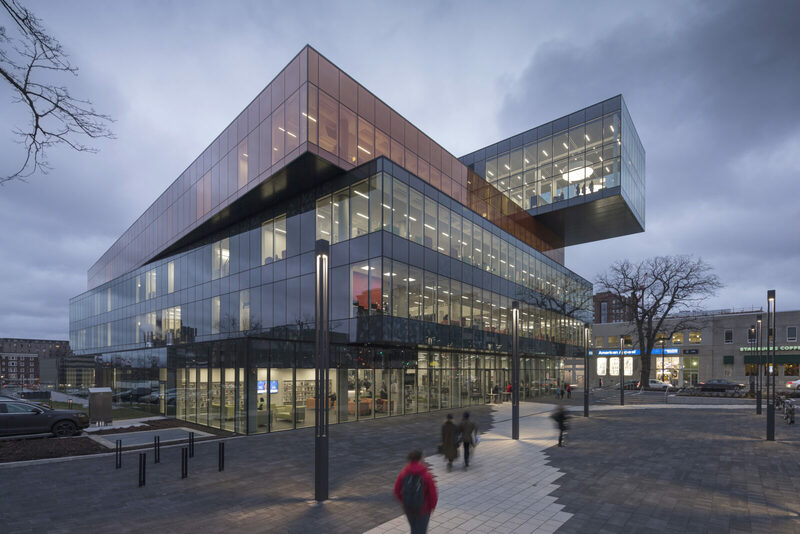 The library is located on a prominent site in downtown Halifax and is sited to create vibrant plazas within the surrounding urban context. The building is composed of three vertically stacked glass volumes that are topped by a monumental glass cantilever. Each volume is rotated to embrace views of the surrounding ocean and landmarks of the Halifax peninsula. The Halifax Living Room, the building’s most remarkable space, is located in the signature cantilever on the top level. It’s a glass encapsulated reading lounge back-dropped by dramatic views of the Citadel Hill Fortress and the mosaic of buildings and nautical activity that make up the city of Halifax.